Anguilla weddings are pure magic! 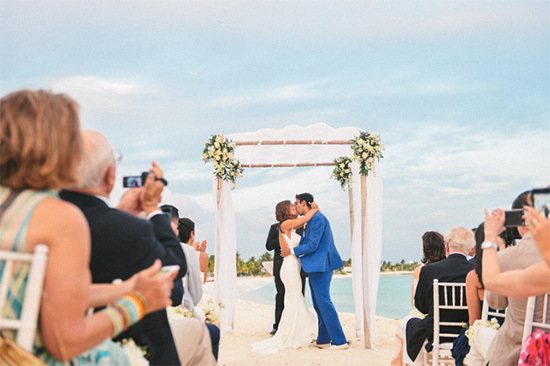 From barefoot beach ceremonies, to unions set in the most luxurious hotels and villas, from intimate gatherings, to lavish, 600 guest+ weddings, Anguilla is a top destination. What exactly makes Anguilla a top wedding destination, and how do you plan the perfect wedding in Anguilla? See video below for expert advice from Anguilla's top wedding planner, Amelia Vanterpool-Kubisch of Blue Sea Anguilla! ... peaceful, tranquil and private, with some of the best beaches and restaurants in the world on its shores, it's easy to see why Anguilla is an ideal spot for romantics. A little while ago, I received an e-mail from a visitor to anguilla-beaches.com The e-mail was written full of magic, romance, and got me thinking more on Anguilla weddings and Anguilla honeymoons. After surfing the net on Anguilla I just had to tell you that your site is amazing. You give more detail and information than most. I wanted to see if you had an opinion on something. I got engaged this year on July 4. After thinking about a wedding I decided that I want to go to the Caribbean to get married. I woke up one Sunday morning and decided to enter "romantic Caribbean weddings" into my Google search engine and was taken to your site. I woke up my fiancee and said, "I KNOW WHAT I WANT TO DO FOR OUR WEDDING!!!" He just laughed and told me that if that's what I want, that's just what we'll do! Great job on your beautiful site! Thank you so much for writing, Karen! how many other people have had Anguilla weddings or Anguilla honeymoons? I've thought about that off and on. And... guess what? NBC publicly answered my wonder about Anguilla weddings and honeymoons. Yes, the NBC. The NBC television network picked Anguilla as the #1 place in the world to be wed and honeymoon. Can you imagine a better location to spend your most special of all days? Standing in the warm sand, with nothing but clear skies, and even clearer waters, celebrating an Anguilla wedding. Did Orlando Bloom and Miranda Kerr get married in Anguilla? 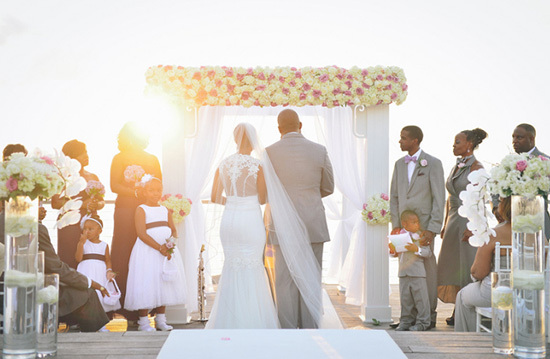 A Four Seasons Anguilla Wedding? Cap Juluca? A private villa, for a truly exclusive experience? Anguilla Bride "Trashing The Dress"
Who's the best Anguilla wedding photographer that meets your budget? What about hair and makeup, flowers? How is the dress getting there? Who's got the ring? Where's the rehearsal dinner? Is there going to be live music? Any ultra-special requests? Organizing a wedding on a small island sure takes some planing! Blue Sea Anguilla is the go-to group when it comes to planning a wedding. They help you organize it all. They even offer a variety of wedding packages, all-inclusive. From small packages, including wine, flowers, church and coordination, to more elaborate weddings including make-up, hair, photographer, musicians and so forth, there is something for every wedding group. Packages start at $1265.00. NEW Since writing this webpage, we have received many questions on the "ins and outs" of getting married in Anguilla. We sat down with Anguilla wedding experts, Blue Sea Anguilla to find out what goes on "behind the scenes" at beach weddings and to find out more about the types of wedding packages available. More on Anguilla weddings and packages. The Anguilla Tourist Board really caters to honeymooners. So they really promote "get married in Anguilla" -- the process for Anguilla weddings runs smoothly. I guess they figure that if you come to Anguilla to for your wedding, you are not likely to decide to honeymoon in Alaska. You can be wed under a special license that takes only two days to process. The two of you have to present several required pieces of identification, basically the usual documents that it takes to get into the island. And you will need two witnesses for the actual ceremony. Pretty simple and not expensive. If you are here fifteen days prior to the wedding date, the license costs $40 USD. Otherwise, it's $284 USD. Oh, and I just happen to have a nice starting point for you to pick a church. On the note of photography, there's no need to import a photographer. Anguilla has several professionals. Derrys Richardson of Signature 7602 Studios is the go-to wedding photographer. He is one of the island's most talented and most sought after photographer. One look at his photos, and it's not hard to see why Derrys' work is so well loved. His photography is vibrant, rich and simply timeless. 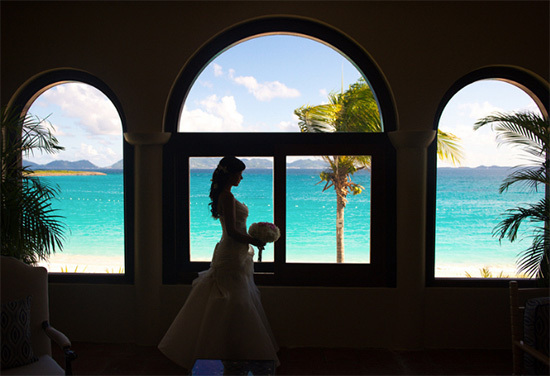 He captures Anguilla weddings beautifully. You can see more photos by Derrys Richardson here. 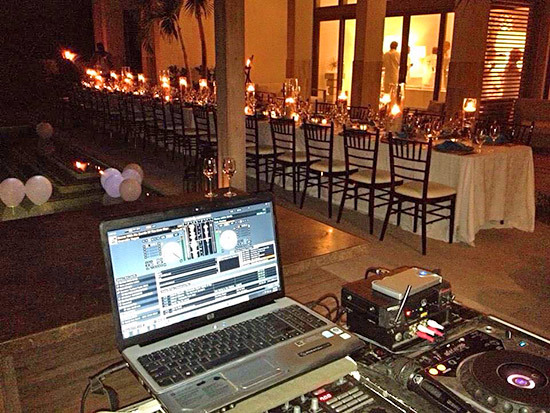 When it comes to live music either during your wedding ceremony or during the reception, one man to consider is DJ Kue. Originally from St. Kitts, DJ Kue is one of Anguilla's most popular DJ's leading the island's burgeoning dance and DJ scene. He has established a name for himself in two very different arenas. From spinning at the craziest parties during Anguilla's Carnival - to setting a refined tone at Anguilla's most luxurious resorts and beachfront weddings. There's no DJ like Kue! 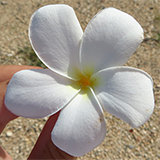 Because there are many aspects to coordinate for an Anguilla wedding, many choose to hire an on-island wedding planner. Too late for them. But there is hope for the future! Anguilla truly is a magical gem. To be able to spend time here with a loved one for the first time would be unbelievable. 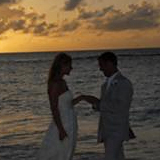 I have received so many wonderful stories about weddings in Anguilla and Anguilla honeymoons. To keep this page from getting toooooooooo long, I published more of the ones about Anguilla honeymoons here. From beaches to restaurants, Anguilla offers tranquility, privacy and plenty of romance. More on Anguilla's romantic side. 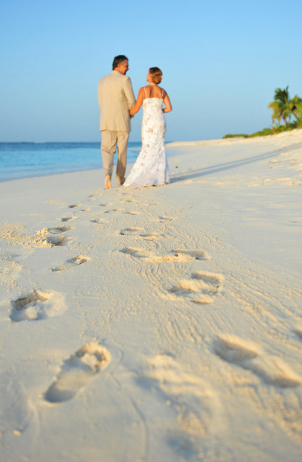 Anguilla Wedding Or Honeymoon Story? Were you married in Anguilla? Did you honeymoon in Anguilla? Are you planning to? If you have a special wedding or honeymoon story, I would love to hear all about the magical experience! Click here to see the rest of the form and share your romantic memories. Click on the links below to read other visitors' wedding and honeymoon stories. They were all written by other visitors to this page.